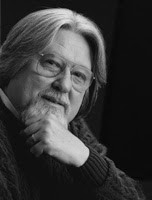 To be read on "a dark and stormy night"
"SAN FRANCISCO - A Wisconsin man whose blend of awkward syntax, imminent disaster and bathroom humor offends both good taste and the English language won an annual contest Monday that salutes bad writing. "'Gerald began — but was interrupted by a piercing whistle which cost him ten percent of his hearing permanently, as it did everyone else in a ten-mile radius of the eruption, not that it mattered much because for them 'permanently' meant the next ten minutes or so until buried by searing lava or suffocated by choking ash — to pee,' Gleeson wrote. "Scott Rice, an English professor at San Jose State, called Gleeson's entry a 'syntactic atrocity' that displays 'a peculiar set of standards or values.' 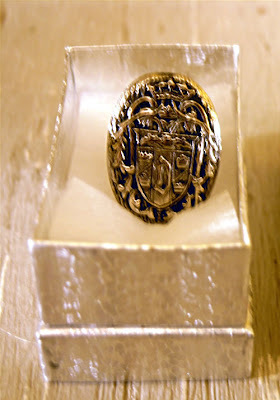 Rice has organized the contest since founding it in 1982." 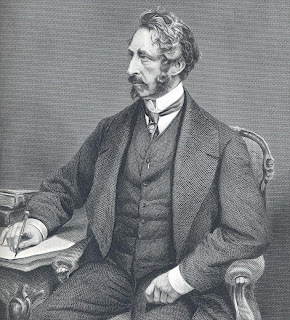 The contest is named for Victorian English author George Bulwer-Lytton. His 1830 novel Paul Clifford opened with this convoluted humdinger: "It was a dark and stormy night; the rain fell in torrents--except at occasional intervals, when it was checked by a violent gust of wind which swept up the streets (for it is in London that our scene lies), rattling along the housetops, and fiercely agitating the scanty flame of the lamps that struggled against the darkness." Enjoy this video find-- but be warned that it is LOUD. A Tiltin' Tilton video that my friend Ted Newsom found at Youtube. Not work-friendly because of the REALLY low humor involved. But the Voodoo Queen and I laughed at this until tears ran down our faces. It's a gas! 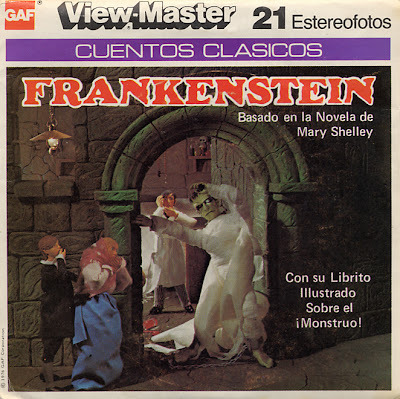 A nice set of Frankenstein photographs (belonging to "cuidad imaginaria") can be found here. Some striking covers of Spanish-language editions of the novel can be seen in the set, among other items. Someone called "Godzzla" has tried recreating the lost 1965 footage of Boris Karloff singing "Monster Mash" on the old "Shindig" TV show. Dave of the MOSTLY GHOSTLY MUSIC SHARING BLAAAHHHGGG has posted the video at his site, and that is where I found this fun fun FUN mash-up of Boris on "Shindig" and Bobby Pickett's recording of the song. I am grateful to both of them. This is a great tribute to Pickett, and a fun way to watch the Karloff footage from the "Shindig" episode. Fans of Boris, Pickett and old TV should go here RIGHT NOW and dig this gravely good video! The video dubbing and sound mix are pretty well done, and the whole thing is a blast to watch. A funny updating of the original. An inspired amateur film made in the 1960s. Funny. Laszlo Kovacs, one of Hollywood's most influential and respected directors of photography, died Saturday night in his sleep. He was 74. Kovacs lensed the landmark cinematic achievement "Easy Rider" and compiled about 60 credits including "Five Easy Pieces," "Shampoo," "Paper Moon," "New York, New York," "What's Up, Doc," "Ghostbusters," "My Best Friend's Wedding" and "Miss Congeniality." The Hungary-born cinematographer also carried during his career a remarkable story of courage that occurred 50 years ago during his country's revolution. Kovacs was born and raised on a farm in Hungary when that country was isolated from the Western world, first by the Nazi occupation and later during the Cold War. Kovacs was in his final year of school in Budapest when a revolt against the communist regime started on the city streets. He and his lifelong friend Vilmos Zsigmond made the daring decision to document the event for its historic significance. To do this, they borrowed film and a camera from their school, hid the camera in a paper bag with a hole for the lens and recorded the conflict. The pair then embarked on a dangerous journey during which they carried 30,000 feet of documentary film across the border into Austria. They entered the U.S. as political refugees in 1957. Against the odds, Kovacs and Zsigmond went on to become two of Hollywood's most influential directors of photography. Laszlo Kovacs' photography in the films TARGETS, CLOSE ENCOUNTERS OF THE THIRD KIND, PAPER MOON and GHOSTBUSTERS will always stay with me. Found a cool new cocktail recipe. 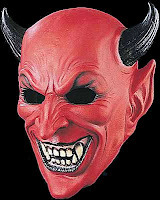 Or, since it was inspired by satanists, should I say a HOT new one? In the book Rosemary's Baby, there is a drink mentioned called the Vodka Blush; I assume it was an imaginary name created by author Ira Levin. Someone at the Church Of Satan website, one Peggy Nadramia, has now created a drink in honor of Levin's libation! See the recipe and a photo of this devilishly delicious beverage here. Jame Earl Jones Performs "The Raven"
This version of the immortal poem is read straight, but is from "The Simpsons". With Homer and Bart acting out the poem, it's a comic masterpiece. Vincent Price Performs "The Raven"
Price avoids the hammy and fruity in his performance, and gives an laudable, honest performance. But for me, the most despairing reading of Poe's bleak lyric lines was the one done on a record by Basil Rathbone, in the 1960s. Still available commercially. Here is the first interpretation of three of "The Raven" that I want to share. John Astin -- who looks SO much like Poe it's uncanny -- offers a far different reading than the one by Vincent Price. Astin's performance seems --appropriately-- more like that of a poet's, rather than an actor's, interpretation. But Price's is more satisfying -- to me, anyway. Price performs all the emotions in the lines, not just some of them. Cut off your nose for your face's sake! Spite-- It makes us US! From a LiveScience.com article by Chucky Choi*: "Spite is a dark emotion that nonetheless seems to help set humanity apart from its closest primate relatives, new research suggests. * He goes by "Charles Q. ", but I call him Chucky to spite him. Rare 1976 Halloween TV special coming to DVD! Paul Lynde, The Wicked Witch Of The West, and KISS??? 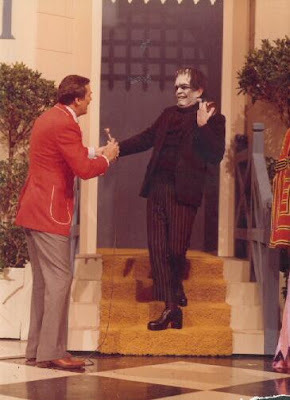 Paul Lynde as the Frankenstein Monster on the 1969 kid's game show "StoryBook Squares"
What nobler substitute than wine ? This chance is theirs, to be of use." Last night, my wife and I were sitting in the living room and I said to her, "I never want to live in a vegetative state, dependent on some machine and fluids from a bottle. If that ever happens, just pull the plug." A new gloss on an old favorite! Check out all the videos by TSchiefer. ...fortified by 1,000,000 volts of electricity, to friends of the DSH for their support! Although "Monster Bash Report No. 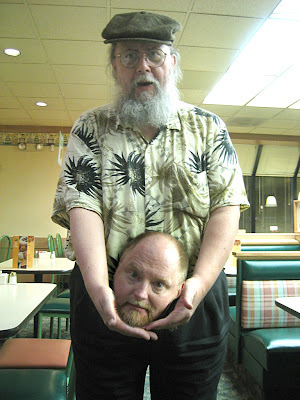 2" will be a while yet, this blog is back on track-- even though my motives are loco-- thanks to helpful friends. You know who you are! Before I leave work, I thought I'd share this version done in India of the Michael Jackson "Thriller" video. Included are English "subtitles" that are really what someone thought the Hindi words sound like in English. It's pretty funny. 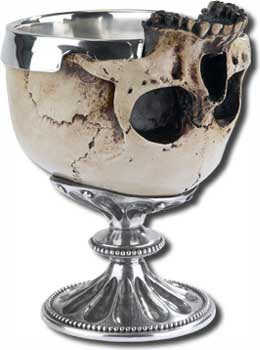 For not posting yesterday as promised, my apologies to all the drinking buddies of The Drunken Severed Head. Have temporarily lost my phone and cable/dsl hookup. 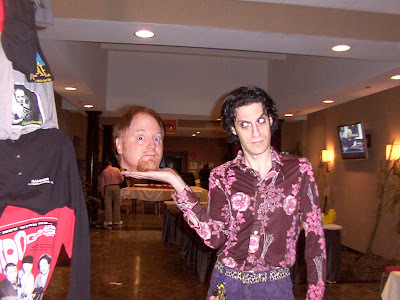 I am posting at work, so I'll have to postpone my further recounting of Monster Bash 2007. "BUCHAREST, Romania - A Habsburg heir is hoping someone will take a bite of his offer Monday to sell "Dracula's Castle" in Transylvania. "The medieval Bran Castle, perched on a cliff near Brasov in mountainous central Romania, is a top tourist attraction because of its ties to Prince Vlad the Impaler, the warlord whose cruelty inspired Bram Stoker's 1897 novel, "Dracula. "Legend has it that the ruthless Vlad— who earned his nickname because of the way he tortured his enemies — spent one night in the 1400s at the castle. 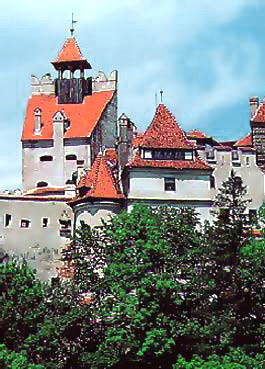 "The Habsburgs formally put the Bran Castle on the market Monday, a U.S.-based investment company said. No selling price was announced." Bran Castle was built in the 14th to serve as a fortress to protect against the invading Ottoman Turks. Wednesday was the last day of work in the retail department I HAD been in; I was then to take a week's vacation for the Bash and transfer to a new department. The fact that I was escaping a boss I considered to be monstrous and beastly I took as a good omen for the thrills to be had at the Bash. Dammit, no one seems able to balance me on their hands very well, and just after the shutter opened here I fell over backwards onto the floor. Thank god I'd been drinking heavily and felt the impact less! Part 2 tomorrow or Wednesday.